Like most couples, my husband and I divided up our chores based on our abilities. Since my husband was unable to see dirt, I cleaned. Since I was unable to see any problem with eating Kraft Mac & Cheese mixed with Hormel Chili several times a week, my horrified husband cooked. He grew vegetables in the backyard; I maintained planters of flowers in the front. I walked and trained our rescue dogs. I cleaned the cat litter box. I fed/ vetted/ medicated/ washed all four animals. I did the laundry. I swept the patio and front steps. I mowed the lawn. I washed dishes. With 4 shedding animals, I vacuumed every other day. My husband is particular about his dirt. Andy in the garden. With beans, tomatoes, pumpkins, kale, and chard. Andy has a strawberry patch, a greenhouse, and several gardens. The dirt has to be just right for each. He tested our vegetable garden’s acidity and found it wanting. Andy added bone meal. Now our tomatoes never rot on the vine. 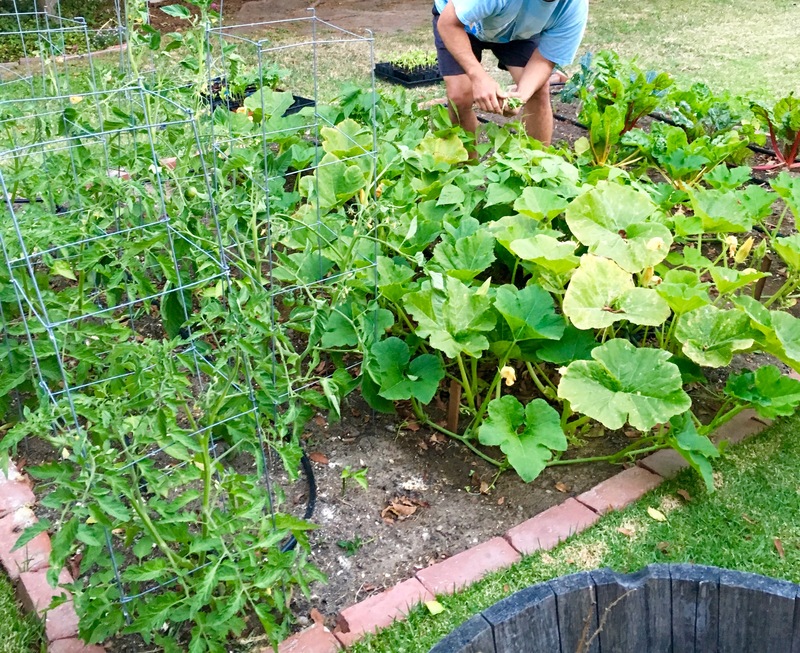 He deemed the soil in our Southern California neighborhood too sandy and started compost piles to reduce our vegetable waste to richer, more microbe-laden dirt.